Do you think your smile needs professional help? When your teeth get structurally damaged, it can affect not only the way you eat and chew your food. Smiling and talking which used to be so easy can suddenly become things you are conscious about. Having problems with your teeth can affect the quality of your life. Thankfully, most (if not all) dental problems can now be remedied with different kinds of restorations. Whether you have discolored, chipped, misaligned, irregularly shaped, or broken teeth, veneers may be a good restoration option for you. Veneers or laminates are carefully designed to cover the front surface of your teeth to improve your smile. Dental veneers are made of either porcelain or resin composite materials which are then made into wafer-thin shells. These are bonded to the front of the teeth. A dental crown is used to “cap” a damaged tooth. While a veneer is bonded to the front surface of a tooth a crown covers the entirety of the visible part of a tooth. A crown is also used with dental implants and also to cover a tooth after a root canal treatment. 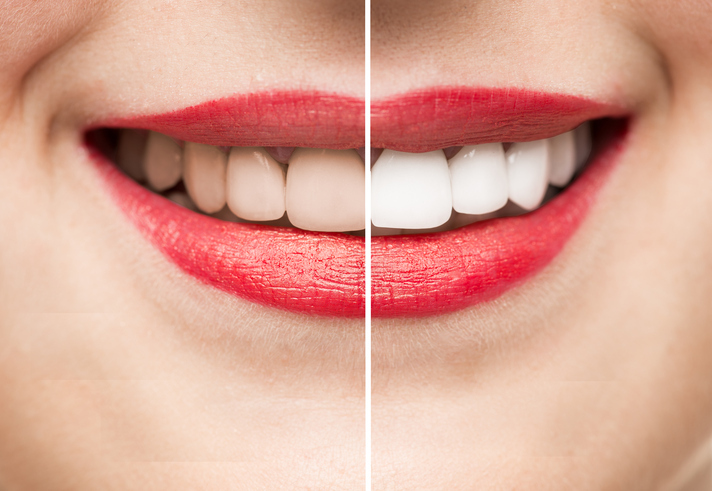 Porcelain and ceramic are the materials most commonly used to better achieve the color of your natural teeth. Other materials like gold, metal alloy, and acrylic may also be used. If you are missing one or more teeth, a bridge may be recommended by your dentist. When there are gaps, your remaining teeth may rotate or shift into those empty spaces. A dental bridge can occupy those gaps. A pontic ( replacement tooth) is attached to the crowns that will cover the natural teeth or implants on both sides of the gap. Your dentist can help you decide on the best material for your dental bridge, based on the location of your missing tooth or teeth, function, aesthetics, and cost. Dentures are removable dental appliances that can be worn to replace missing tooth. They can be full or partial. Your dentist can tell you whether you would only need to replace some of your teeth or if a full denture is preferable for you. Dentures may take some time getting used to, but the good news is, dentures of today are more comfortable and natural-looking than ever before. Dental implants are surgically positioned to serve as artificial tooth roots. The structure of an implant is similar to a screw. Implants are a sturdy base that can support one or more crowns. They are considered the strongest and most natural-looking replacement for missing teeth. Not all patients are good candidates for dental implants. Your dentist will be able to determine whether they are an option for you. You don’t have to settle for the smile you have right now. You don’t have to suffer the discomfort and embarrassment of having stained, damaged, or missing teeth. The key to gaining back your winning smile is as simple as getting the right restoration! To get the highest quality, make sure your veneers, crowns, bridges, dentures, or implants are made by Dental Laboratory Associates. Not sure where to go for your dental restoration? Give us a call and we’ll refer you to one of the best dentists in your area! This entry was posted in Cosmetic Dentistry, Dental Restorations, dental tips and tagged dental advice, dental care, dental restoration advice, dental restoration tips, dental restorations, dental tips. Bookmark the permalink.